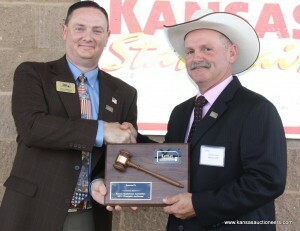 The 100th Kansas State Fair was the location of the 2012 Kansas Auctioneers Association Auctioneer Championship. This was the 21st KAA Auctioneer Championship. The Kansas Auctioneers Association held their preliminary contest at the Winter Convention in Wichita in January. 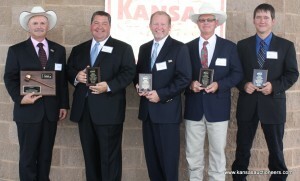 Ten auctioneers were selected to compete in the finalist competition. Those top ten finalists included Eric Boone, Yates Center; Jeff Crissup, Helena, OK; Ed Dewey, Rossville, KS; Lenny Mullin, Lenexa, KS; Marty Read, Mound City, KS; Donnie Stumpff, Cassville, MO; Jeff Temme, Petersburg, NE; Aaron Traffas, Sharon, KS; Morris Yoder, Hutchinson, KS; and Titus A. Yutzy, Nickerson, KS. They presented a lively and entertaining afternoon on the Bretz Law Arena. Each contestant was interviewed on stage and sold three items to the state fair crowd. 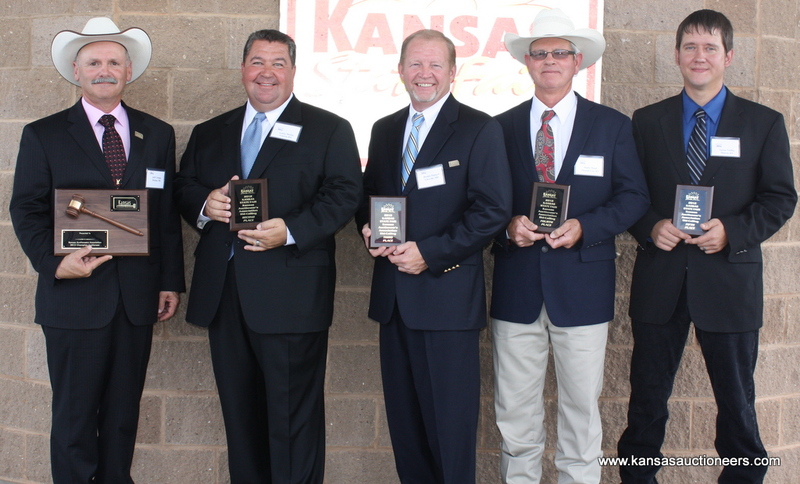 The three judges, Dan McVey, the 1991 KAA Auctioneer Champion; Mike Avery, NAA Director of Education; and Rob Hart, Ameribid Chief Operating Officer, judged each contestant on specified criteria. The criteria included presentation, chant and effective auctioneering, as well as an interview component. We would like to introduce and congratulate Jeff Crissup the 2012 auctioneer champion; Lenny Mullin reserve champion; Donnie Stumpff, third place; Marty Read, fourth place and Aaron Traffas, fifth place. Watch the entire video of the preliminaries and the finals here.